Hey friend, do you love Froyo but you don’t love all the gunk these popular chains put in their “frozen yogurt”? Maybe you just want a giant thing of Froyo for yourself but refuse to overpay for it. Well I am you! 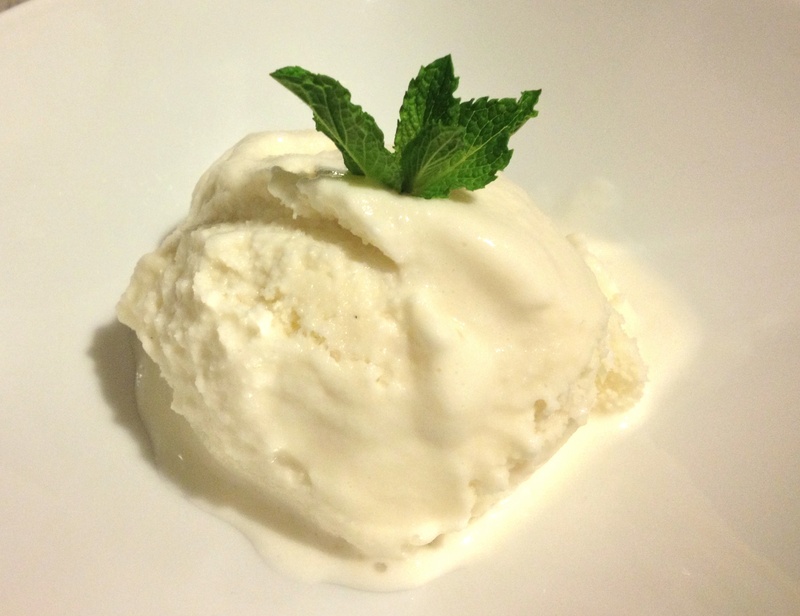 After failing to find a readily available, organic, plain frozen yogurt treat on the marketplace, I set out on my personal odyssey to find the best home-made recipe out there. Below, you’ll find a eat-right-out-of-the-ice-cream-maker good Fro-yo recipe. I have experimented with using natural sweeteners + all sorts of yogurts: full fat, non fat, regular, Greek, you name it. While the taste was genuinely yogurt-ish, it wasn’t tangy enough and the consistency was sometimes icy or hard to keep. The secret ingredients to this simple formula I think, are 1. Full Fat Greek or Regular Yogurt 2. Sour Cream 3. Lemon Juice. Adapted from Just One Cookbook the combination of these ingredients makes for a decadent, tangy, slightly icy but creamy treat! Serving Tip: After the Froyo has been in the freezer for 24hr+, it can become very hard to serve, you almost need a chisel to get the good stuff out! If you have a big container of it, I recommend letting the container sit on the counter for at least 10 – 20 mins to soften before serving.